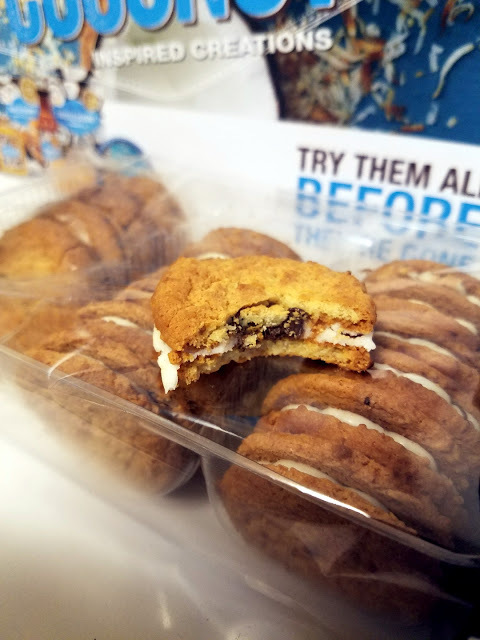 GIANT’S new toasted coconut inspired creations Review + $25 Gift Card giveaway! Congratulations Angelica! You are the winner! Hey, guys! 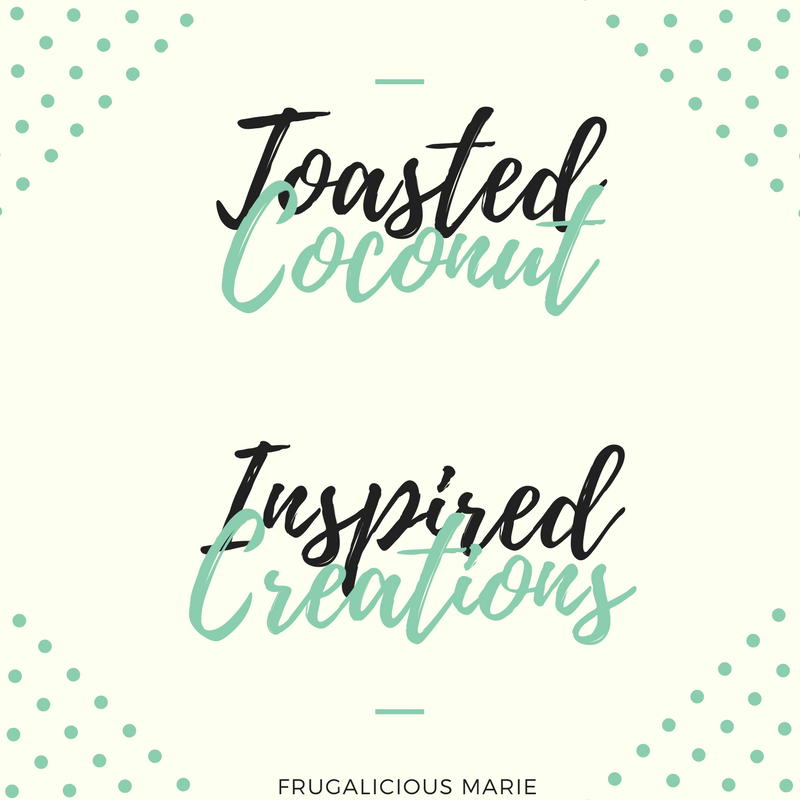 I'm back at it again with some new Giant toasted coconut inspired creations! 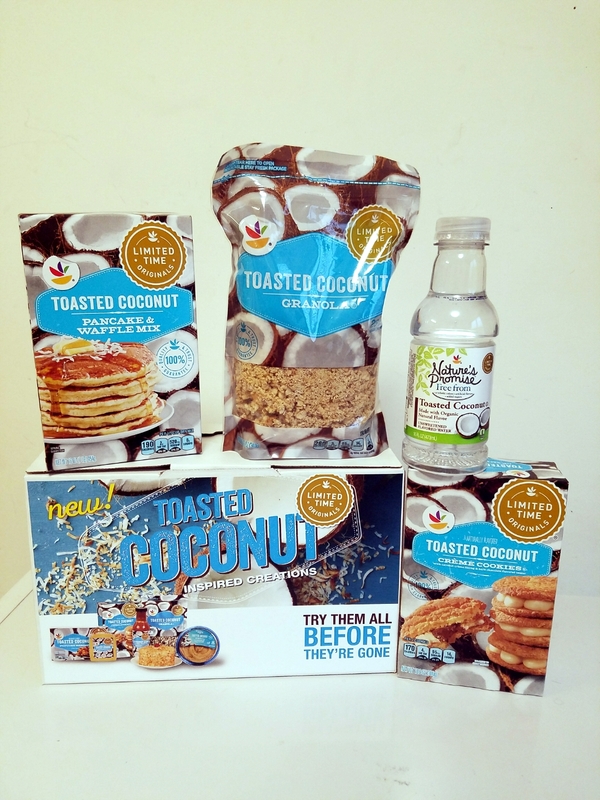 I was so lucky that Giant Food stores sent me a great package of their new toasted coconut inspired creations products! In this package, I received toasted coconut granola, toasted coconut pancake & waffle mix, toasted coconut flavored water, and toasted coconut creme cookies. Before I started my great diet this weekend, I indulged in all of these products! The water was great. The pancake & waffle mix was awesome. The toasted coconut granola was devoured in 2 days by my kids. The toasted coconut creme cookies were gone in a matter of minutes. This has been by far my favorite limited edition inspired creation that Giant has come out with. Please keep this around Giant. I am begging you! The cookies had chocolate in the middle which made them extra tasty! Yummoz! I would definitely recommend these cookies! I only had one, my kids ate the rest of the pack! To Enter: Simply leave a comment, share on Facebook, or share to Twitter, telling me what product from the Twisted Chocolate Collection you’d like to try OR tell me what is your favorite chocolate treat?! I’ll randomly choose a winner at 10:30 am EST on Monday, April 10, 2017. Please use a valid email when commenting so it makes it easier to contact you if you win. I am most excited to try the Toasted Coconut Caramel Ice Cream and to make French toast using the Toasted Coconut Brioche!